Pipette Rinsing Systems There is 1 product. Trouble-free and gentle cleaning of pipettes with repetitive siphon rinsing. Water supply connection via hose nozzle, outer-Ø 12 mm. 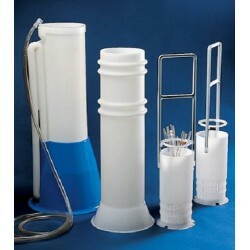 The complete cleaning system consists of a rinsing apparatus, soaking jar and pipette basket. Please order each component separately.